Today it was the turn for our U8s, U9s and U12s to take part in the Handsworth Soccer Sixes Tournament! Our younger girls were massively challenged, playing against some girls 2 school years above - but they battled and we saw some amazing effort and massive improvements throughout the day! Our U12s also faced some tough opposition and were defensively strong with some great performances. The U12s newest recruit Evie bagged herself Player of the Tournament, for a storming performance in defence. 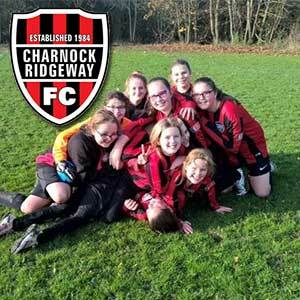 Well done to all the Charnock Girls today, we’re proud of you all.